The authors present examples of analysis of online discourse and interactions among prospective middle-grades and secondary mathematics teachers in a technology methods course. The online group met synchronously using Elluminate Live (now Blackboard Collaborate) to study data analysis and probability with dynamic technology tools. Analysis of class sessions included broad lesson maps, which captured instructional decisions, big ideas related to content, use of technology and general discourse. Critical episodes, where prospective teachers seemed to address common misconceptions and develop their own understandings about data analysis and probability, were identified and analyzed further. Trends related to design and management and discourse in the synchronous, online environment are shared, and implications for further work with online technology methods courses are considered. Starling, T. & Lee, H. (2015). Synchronous Online Discourse in a Technology Methods Course for Middle and Secondary Prospective Mathematics Teachers. Contemporary Issues in Technology and Teacher Education, 15 (2), 106-125. Waynesville, NC USA: Society for Information Technology & Teacher Education. Retrieved April 24, 2019 from https://www.learntechlib.org/primary/p/148427/. Bruner, J.S. (1966). Toward a theory of instruction. New York, NY: W.W. Norton& Company. Cady, J., & Rearden, K. (2009). Delivering online professional development in mathematics to rural educators. Journal of Technology and Teacher Education, 17(3), 281-298. Clement, L. (1997). If they’re talking, they’re learning? Teachers’ interpretations of meaningful mathematical discourse. Paper presented at the annual meeting of the American Educational Research Association, Chicago, IL. Elbers, E. (2003). Classroom interaction as reflection: Learning and teaching mathematics in a community of inquiry. Educational Studies in Mathematics, 54(1), 7799. Groth, R.E. (2007). Case studies of mathematics teachers’ learning in an online study group. 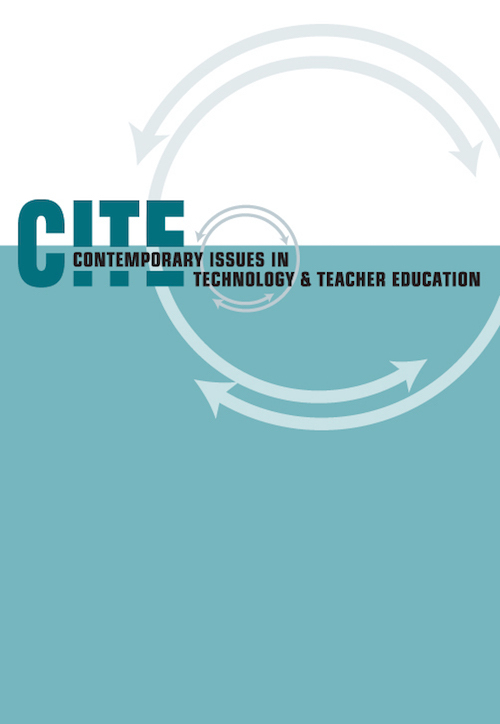 Contemporary Issues in Technology and Teacher Education, 7(1), 490-520. Jacobs, J.K., Hollingsworth, H., & Givven, K.B. (2007). Video-based research made “easy”: Methodological lessons learned from the TIMSS video studies. Field Methods, 19(3), 284-299. Kazemi, E., & Franke, M.L. (2004). Teacher learning in mathematics: Using student work to promote collective inquiry. Journal of Mathematics Teacher Education, 7(3), 203-235. Key Curriculum Technologies. (2005). TinkerPlots (Version 1.0) [computer software]. Emeryville, CA. Knuth, E., & Peressini, D. (2001). A theoretical framework for examining discourse in mathematics classrooms. Focus on Learning Problems in Mathematics, 23(2 & 3), 5-22. Krussel, L., Edwards, B., & Springer, G.T. (2004). The teachers’ discourse moves: A framework for analyzing discourse in mathematics classrooms. School Science and Mathematics, 104(7), 307-312. Larreamendy-Joerns, J., & Leinhardt, G. (2006). Going the distance with online education. Review of Educational Research, 76, 567-605. Lee, H.S., Hollebrands, K.F., & Wilson, P.H. (2010). Preparing to teach mathematics with technology: An integrated approach to data analysis and probability (1st ed.). Dubuque, IA: Kendall Hunt Publishing. Leikin, R., & Zaslavsky, O. (1997). Facilitating student interactions in mathematics in a cooperative learning setting. Journal for Research in Mathematics Education, 28(3), 331-354. McBrien, J.L., Jones, P., & Cheng, R. (2009). Virtual spaces: Employing asynchronous online classroom to facilitate student engagement in online learning. International Review of Research in Open and Distance Learning, 10(3), 1-17. McCrory, R., Putnam, R., & Jansen, A. (2008). Interaction in online courses for teacher education: Subject matter and pedagogy. Journal of Technology and Teacher Education, 16(2), 155-180. Nathan, M.J., & Knuth, E.J. (2003). A study of whole classroom mathematical discourse and teacher change. Cognition and Instruction, 21(2) 175-207. Picollo, D.L., Harbaugh, A., Carter, T.A., Capraro, M.M., & Capraro, R.M. (2008). Quality of instruction: Examining discourse in middle school mathematics instruction. Journal of Advanced Academics, 19(3), 376-410. Putnam, R. & Borko, H. (2000). What do new views of knowledge and thinking have to say about research on teacher learning? Educational Researcher, 29(4), 4-13. Richardson, J., & Swan, K. (2003). Examining social presence in online courses in relation to students’ perceived learning and satisfaction. Journal for Asynchronous Learning Networks, 7(1), 68-88. Rosales, J., Orrantia, J., & Vicente, S. (2008). Studying mathematics problem-solving classrooms: A comparison between the discourse of in-service teachers and student teachers.European Journal of Psychology of Education, 23 (3), 275-294. Shea, P., & Bidjerano, T. (2009). Community of inquiry as a theoretical framework to foster “epistemic engagement” and “cognitive presence” in online education. Computers and Education, 52, 543-553. Stipek, D.J., Givvin, K.B., Salmon, J.M., & MacGyvers, V.L. (2001). Teacher’s beliefs and practices related to mathematics instruction. Teacher and Teaching Education, 17, 213-226. Topcu, A., & Ubuz, B. (2008). The effects of metacognitive knowledge on the pre-service teachers’ participation in the asynchronous online forum. Educational Technology and Society, 11(3), 1-12. Webb, N.M. (1991). Task-related verbal interaction and mathematics learning in small groups.Journal for Research in Mathematics Education, 22(5), 366-389. Webb, N.M., Nemer, K.M, & Ing, M. (2006). Small-group reflections: Parallels between teacher discourse and student behavior in peer-directed groups. The Journal of the Learning Sciences, 15(1), 63-119. Yackel, E., & Cobb, P. (1996). Sociomathematical norms, argumentation, and autonomy in mathematics. Journal for Research in Mathematics Education, 27(4), 458-477. Yackel, E., Cobb, P., & Wood, T. (1991). Small-group interactions as a source of learning opportunities in second-grade mathematics. Journal for Research in Mathematics Education, 22(5), 390-408.